You know the cliché. The one about the 50-year-old guy with the silver sideburns: he jumps into his red-hot convertible, throws an arm around his much-younger girlfriend and speeds off into the sunset leaving behind a life of mediocrity and the whispers of a “mid-life crisis”. Or, there’s the one about the quarter-life crisis — a reference to the stressing metamorphosis from adolescent to adult and the startling responsibility that comes with it. It might be triggered by a relationship breakdown, illness, job loss or death. By the sudden realisation that today looked just like yesterday and so will tomorrow. Or the fact you still don’t know what you want to be when you grow up. It might feel like days, weeks or even years of nagging dissatisfaction, boredom, confusion, fear, loneliness, worthlessness, worry or unrealised potential. But know this: however frightening it may be, a life crisis is an opportunity to finally free yourself from whatever it is that’s keeping you stuck. It’s a wake up call — the chance to alter your course. A catalyst for profound transformation. There’s just a few things you need to do when you find yourself daydreaming about being somewhere else and doing something different, or shuddering at the thought of being in the same situation for the next month, year or decade. Do some soul searching. Identify the areas of your life that are deeply-rooted in this sense of discontentment. Consider how you might remove or change them. Reassess your future in terms of your dreams. What would make you happy? If you could do or be anything, what would you do? Grant yourself permission to redefine yourself or your direction. You deserve to live your best life. Realise it’s never too late. Don’t be disheartened by how long it might take. Remember, the time will pass anyway. Trust that the Universe has your back. Always. “What is it you plan to do with your one wild and precious life?” And then, go do it. 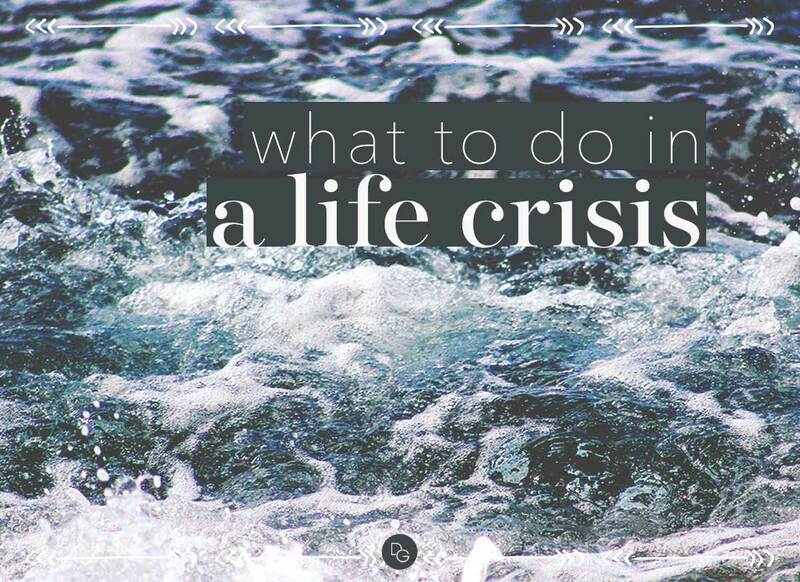 Have you experienced a life crisis? How did you move past it? Share your tips with us in the comments below!